A regal piece for any proud Centurion. 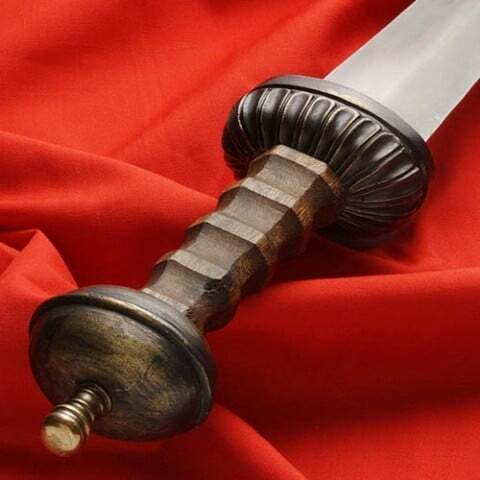 Hand finished solid wood handle complimented by antiqued parts. Has a baldric with a custom wood scabbard wrapped in leather. 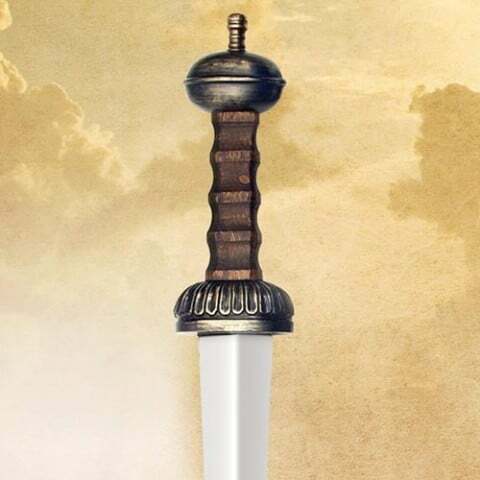 Accented real metal detail gives a authentic finish to the sword. High carbon steel tempered 50cm blade. A worthy addition to the collection.